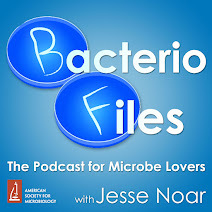 This episode: Learning about endosymbionts by comparing bacteria living inside eukaryotes to their free-living cousins! Thanks to Dr. Vittorio Boscaro for his contribution! Boscaro V, Kolisko M, Felletti M, Vannini C, Lynn DH, Keeling PJ. 2017. Parallel genome reduction in symbionts descended from closely related free-living bacteria. Nat Ecol Evol 1:1160. What’s new: Now, Vittorio Boscaro, Martin Kolisko, Michele Felletti, Claudia Vannini, Denis Lynn, and Patrick Keeling, publishing in Nature Ecology & Evolution, have approached the question by studying free-living bacteria that are closely related to other bacteria living inside other microbes! What makes bacteria essential to hosts? Synthesizing required nutrients, like in insects? How are hosts sustaining their symbionts? How do new symbionts replace old ones? Bacteria invade and kick out, or host ditches old and captures new? Symbionts, organisms living in close association to each other, are usually thought of as working together in perfect balance and harmony. But we think that in most cases, one of the partners is actually exploiting the other. 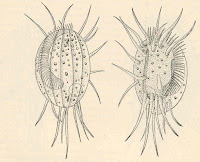 In the system we studied, the bacterium Polynucleobacter is trapped by its host in an evolutionary dead end. The host needs the bacterium, but since there are many Polynucleobacter strains in the environment, it apparently just snatches new ones from time to time, replacing the previous symbiont. It’s a bad deal for the bacterium, but a good opportunity for researchers. Since the process happened over and over, and we could work on several independent host-symbiont lineages, we could observe the evolutionary events develop repeatedly, and figure out which things are predictable, and which are not. For example, we observe that all symbionts undergo genome reduction, but the exact order in which genes are lost is quite different. Also, we were able to quantitatively determine, for the first time, that genes are lost by genetic drift, i.e. the accumulation of deleterious substitutions that happens when selection is relaxed, and not by mutation pressure, which is an increase in the total number of mutations. Do you think with further study, this mechanism will be able to explain the evolutionary history of our mitochondria? I think studying endosymbionts like this could definitely help understand the process and genetic trends of various kinds better in general. I'm not sure extrapolating from this specific case to mitochondria would work too well, since we don't know exactly what these bacteria are doing to help these eukaryotes (which also already have their own mitochondria). But we do know some about mitochondrial genetics, that their genomes look like very degraded bacterial genomes but with some bacterial genes transferred to the host genome, thus making the mitochondria dependent on their host for basic function and such, which is interesting. Do humans, animals, or plants have any other known endosymbionts other than mitochondria or chloroplasts? Definitely! Though none are as common or well-known or well-established in their hosts as mitochondria and chloroplasts, there are plenty of examples in different organisms. Aphids have an interesting relationship with bacteria called Buchnera: their diet is plant sap, which is rich in sugars but poor in protein, so these bacteria help by making essential amino acids the aphids can't make for themselves. 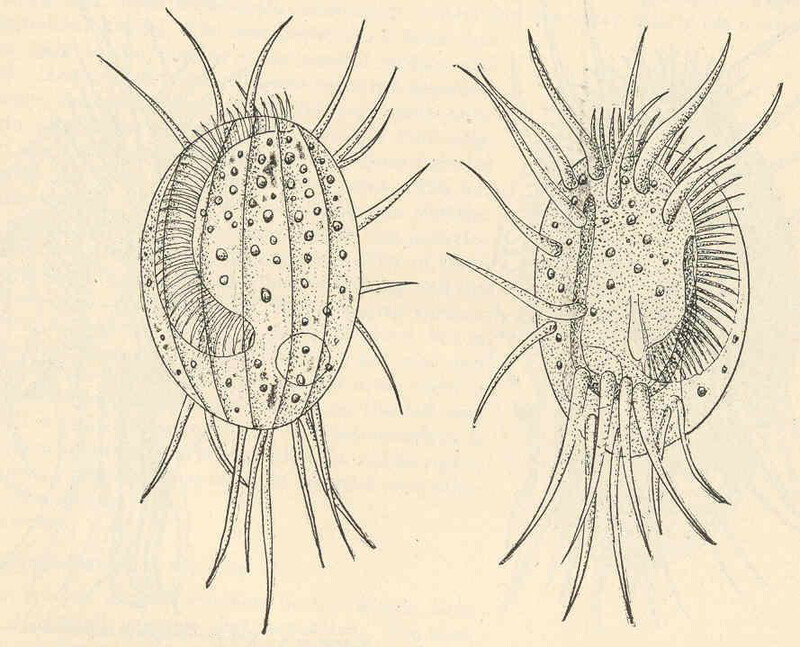 Many insects have Wolbachia symbionts, some are more helpful than others but they have different effects depending on the specific relationship.